Over the next while I am going to be developing a campaign world with a close friend (and player) of mine James Schmitz, an extremely talented illustrator and visual artist. We have been talking on and off for some time about projects we can work on together, also projects that we feel we can complete and might have an audience. 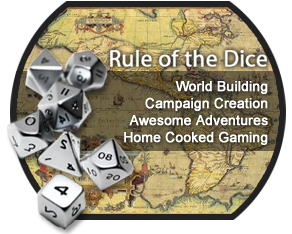 We think that creating a campaign world that can be expanded and developed over time is the best option for our initial foray into the wilderness of rpg publishing. This isn't a great leap for myself or James, we both already work in graphic design, desktop publishing and media in general, so that part is taken care of. The prime difference for me will be embarking on a publishing project that I actually enjoy, with someone I actually enjoy working with. That will be a change, regardless of the outcome.